SP Richards Launches MPS Service. US wholesaler SP Richards has launched a managed print services (MPS) program for its independent dealers called PrintSmart. 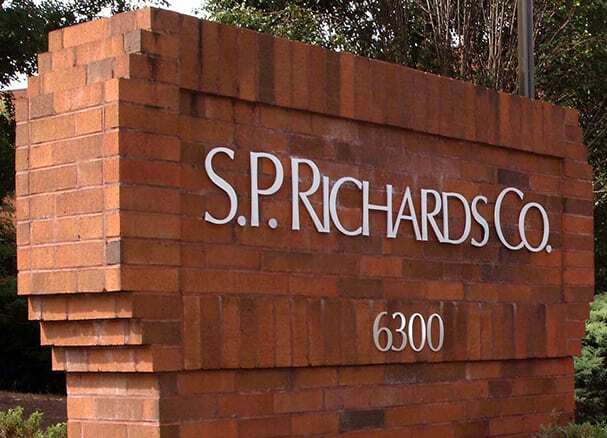 Atlanta (GA), USA, US wholesaler SP Richards has launched a managed print services (MPS) program for its independent dealers called PrintSmart. The program offers a turnkey solution enabling dealers to launch and manage MPS for their customers under two levels of involvement, PrintSmart and PrintSmart Lite. The full-service version, PrintSmart, allows dealers to focus on sales while the comprehensive PrintSmart MPS controls customers’ environments through detailed assessments, fleet monitoring, automated supply replenishment, break-fix solutions, automated monthly reporting and simplified billing. The PrintSmart Lite edition provides a streamlined auto toner replenishment system. Communication is automated through the entire process of ordering, shipping and delivery, eliminating ‘rush’ orders, ordering errors and the need for supply inventory. Both offerings include a flexible online training program to help sales teams learn to sell and implement MPS contracts effectively. SP Richards Director of Technology Products and Services Jim Schebler said: “PrintSmart allows the independent dealer to provide customers with a comprehensive solution to control their printer environments, including proactive management, maintenance and predictive resupplying.